Everybody loves sparkling wine. It’s one of life’s great pleasures and is the perfect drink for marking a special occasion. But what do we do when we’re left with half a bottle of bubbly at the end of the evening? Is it fit only for pouring down the drain, or are there effective solutions for storing sparkling wine and keeping it fresh? Is there any feeling better than easing a cork from the neck of a bottle of fine sparkling wine, and feeling it pop from your hands with the force of all those lovely, refined, invigorating bubbles? Sparkling wines have been the toast of parties and celebrations for hundreds of years, ever since Dom Perignon himself first chanced upon the effect of secondary fermentation in the bottle. They’ve heralded marriages, rejoiced in graduations, brought birthdays in with a bang, marked anniversaries of all kinds… and as any wine lover will tell you, they’re also fantastic for drinking without any excuse necessary! 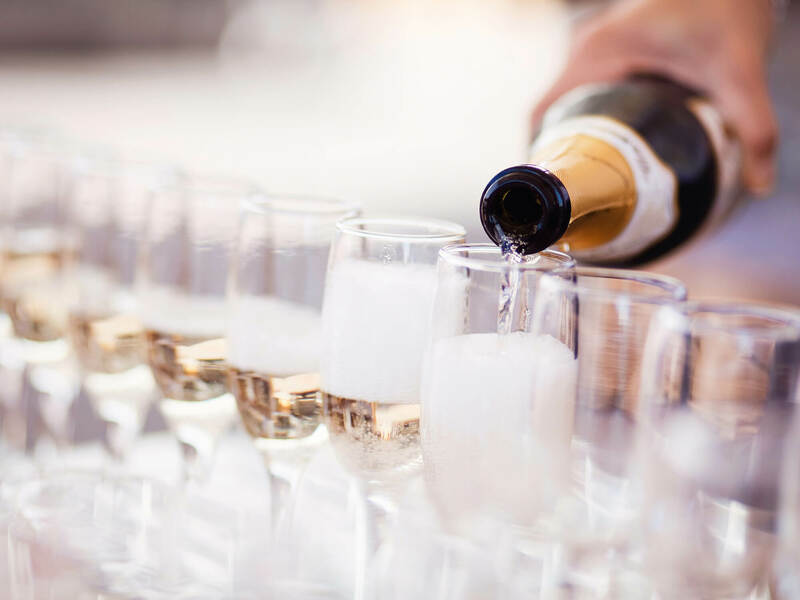 Whether you’re a fan of beautifully made classic French Champagne or prefer the pleasures of a good Cremant, Cava, Prosecco or Lambrusco (not to mention the myriad offerings from the New World), sparkling wines are a treat for any occasion. However, what happens when you’ve uncorked a bottle, and haven’t had the chance to finish it off? Knowing how to store leftover sparkling wine is the key to making that unique pleasure last even longer, allowing you to return to a bottle of fizzy vino time and time again. With this question in mind, we’ve put together a brief guide on how to store opened sparkling wine for your benefit. Never again will you need to face the crushing disappointment of an un-bubbly bottle of bubbly, and underwhelmingly flat fizz will become a thing of the past. Read on to find out more! It’s a sad fact of life that once opened, it doesn’t take very long for wine to turn bad. All wines – including sparkling wine – are affected by oxidation. This is a natural process, in which the chemicals present in the fermented grape juice begin to undergo changes caused by oxygen in the opened bottle. It happens quite quickly, and the changes can be dramatic – oxidized wines first become flat, lifeless and flabby on the palate, and later, become vinegary and acrid. Yuck! Of course, sparkling wines have a shorter shelf life than regular table wines, which actually can be drunk once opened perfectly well for a couple of days, and even often start to taste better after the first day of being opened. As we all learn from cans of soda in childhood, fizzy drinks of all kinds don’t take long to lose their sparkle. This is due to the fact that the secondary fermentation of sparkling wines creates carbonization… and once you pop that cork, it only takes a matter or two or three hours before those elegant bubbles have dissipated, and the fizz is gone for good. As such, if you want to know how to make sparkling wine last longer, you have to deal with halting two different processes: the oxidation of the wine itself, and the loss of all that lovely spritz. The answer to the question ‘how long does sparkling wine last once opened?’ is not very long at all, especially if you do little to halt oxidation and dissipation in its tracks. After all, what is fizzy wine without the fizz? Despite this, there are loads of little tricks and hacks out there which supposedly show you how to make sparkling wine last longer. Unfortunately, very few (if any) are really effective for preserving your Champagne for more than a day, and some – such as the technique involving sticking a metal teaspoon in the neck of your bottle – are nothing more than old wives’ tales. Other solutions, such as using a tightly sealed ‘Champagne stopper’ merely stop more air from entering the bottle… but do nothing about the ravaging effects of the oxygen already trapped inside. The zzysh® Champagne preservation system is a tried and tested method for keeping your sparkling wine fresh long after that cork has been popped. If you’ve been celebrating and are left with a half-full bottle of bubbly, or simply like a single glass of fizz with your dinner each day, it’s the ideal way to keep those bubbles in your bottle. While other methods of preserving Champagne rely primarily on stopping any more oxygen entering the bottle, and halting the carbon dioxide bubbles from escaping the bottle, the zzysh® system goes a whole lot further. With their innovative inert gas capsules, a zzysh® Champagne preserver fills the space in your bottle between the wine and the stopper with a combination of inert argon and carbon dioxide gases. This not only protects your sparkling wine from being affected by any further oxidation, it also keeps all of those elegant bubbles trapped in the bottle. The result? Perfectly fresh and fizzy Champagne, long after the first glass has been poured!